The text certainly certainly explains well the role of a fraction and makes very good arguments for flexibility in the judgement on calling the Party into existence. As Damen says conditions must be right but the active engagement of the Party to build its influence in the class is a factor that must be taken into account rather than waiting until the revolutionary situation arrives. I note however a (perhaps inevitable) weakness in the discussions in the 30s, in that the ‘build the party as soon as poss’ was based on the assumption that another world war would lead to another revolutionary phase ie a relatively close prospect. This would clearly have made the language in favour of build the party soon’ because the timescale would have been seen as very short anyway. Again inevitably there were weaknesses in the understanding of both sides of this view of the party which as the articles says disrupted the work on Bilan in the late 30s. I would suggest it was more the period that didn’t allow a clear conclusion to the discussion. The next element that remains unclear to me relates more to the situation today. I agree with the intro’s questioning on the ICC seeing its role as ‘a sort of fraction’. I still don’t understand what they are saying in this regard. I didn’t disagree with them though when they argued for their role as a ‘pole of regroupment’, This makes sense to me in the context of a period where revolution is not yet on the cards. There again though I take the meaning of ‘build the party’ which tends to end CWO articles to mean much the same as the ICCs term, pole of regroupment. CWO members have stated consistently that they are not the party now, so I understand it to mean that you are aiming to build today is a militant organisation. So the CWO too has the view that the Party would be inappropriate in this current period (70 years after the end of the war discussed in Damens text) and even during the wave of struggles in late 60s and 70s, there was no call to create the Party. I don’t disagree with this, as I say, but I don’t understand the theory behind this unless you regard the whole of this period since WW2 as a continuation of the counter-revolution. Behind the issues raised in Damens text and the issues I have raised lies what is an interesting problem for me, ie the differences in how CWO and ICC periodise recent history and indeed contemporary society. I am now less concerned about whether we talk about obsolence or decadence. Its fundamentally the same thing as can be seen from the following quote from Damen. Its just that different orgs adhere to and highlight their own language!! Bilan and Damen shows clear effort to periodise so as to understand objectives for militant organisation within this period of obsolence of capitalism. ICC theory of decadence and historic course also tried to do this but the ongoing development of capitalism in last question of 20thc and first part of 21stthrow doubt on aspects of this understanding. Revisions have been clearly necessary due to actual events. CWO also periodise as is shown in not creating a party and by maintaining an approach to developing the organisation and rejecting the fraction label in the current period. However in the texts I find both the implication that we are still in a period of counter revolution, but also that we are setting out on a new road!! Seems contradictory. I am not in any way criticising the current practice of the CWO here but I would like to understand better the theory behind it. You clearly see that there has been a change from the pre war (and war) period. I see a distinct period of reconstruction after the war and a period where economic and political crises are hitting capitalism. This obviously comes from my sympathies for the basis idea of a historic course. I cannot see how the CWO differentiates its approach to economic and political changes in this past 70 years since WW2. There is much that we can agree on (and I think you are wise to put the decadence issue to one side here). It seems that we have substantial agreement on the fact that the fraction arises at a particular period when an organisation which was considered proletarian begins to abandon its role. At that point the first task of revolutionaries is to fight to halt that process with the prospect that if the struggle fails then they will have at least clarified the reactionary nature of the old organisation to the widest possible sectors of the class (starting with the rank and file of the old party). Thus we had the Communist Abstentionist fraction inside the old Italian Socialist Party (which was a lot more devious than other Second International parties) and after the Comintern began to become an arm of Russian foreign policy we saw it with the Third International when it adopted the united front policy. The refusal of the Italian Communist Party to accept this led to the Comintern imposing a new leadership on the Party (despite the fact the Left still retained the support of the majority). In the conditions where Fascism was also imprisoning communists the elements of the Left formed their own fraction in exile (but which some of those in Fascist gaols kept contact with). They took the position that as long as the Comintern had not definitively betrayed the class then the Fraction had a purpose. The problem arose (and this is where we might diverge) when (in 1935) it was recognised that the Comintern was not reformable. The Italian Fraction it appears was divided (and not just about whether to declare a new party formed - think only of Spain). This division made the position of those who wanted to declare for a new party there and then rather weak. After all if the Vercesis and Jacobs would not rally to it what hope of addressing a wider movement. This is partially a problem of fractions. They are held together by opposition to another organisation and not by the praxis necessary to prepare for real work together once the old party is deemed incurably reactionary. The Fraction spent so much of its time addressing problems within the communist movement it had a very weak analysis of the actual issues going on in front of them. Not only Spain but also the nature of the USSR, the danger of war, the nature of the unions and even an analysis of capitalist crisis. Today we don't live in the shadow of any old organisation. We are the remnants of the defeat of the proletariat in 1921, in 1945 and in the 1970s. We have never gone away (I read yesterday an ignorant anarchist on Facebook claiming that the communist left was now defunct - he must have been reading World Revolution!) but we are not deus ex machina. We are part of the class and our relative size is an expression of the level of consciousness of the class. Given that the class has been in retreat since the 1970s it is no surprise that we are no bigger than we are. However the 1970s did represent a response to the reappearance of the capitalist crisis - the end of the post-war boom brought an attack on workers across the globe. Inflation, unemployment hammered working class living conditions and destroyed the old concentration of workers in the advanced capitalist world. Globalisation, financialisation and employming more modern constant capital in places where variable capital came cheap helped to allow the system to carry on (with continually declining growth rates). This is where we cannot understand why anyone would maintain that after 1968 there was a historic course which would lead to proletarian victory. It was the ICC who proclaimed the end of the counter revolution. We said nothing because we did not really believe it but we also reject the notion of the "historic course" as unmarxist. It is more like Hegelian teleology where there is only one goal - the truth exists if only humanity could find it. Marx never posed any such teleological goal. From the Communist Manifesto on he always talked about each specific period having its own class struggle which ended either in the revolutionary reconstitution of society or the common ruin of the contending classes. Socialism or barbarism, war or revolution. These are the continual binaries of the class war in history and there is no historic course. This is why we always criticised the ICC as "idealist"
The comrade from the CWO rejects the whole concept of the ‘historic course’ as ‘unmarxist’. But what do we mean by the ‘historic course’, other than analysing the balance of class forces in any given period in order to assess the opportunities for revolution and identify the necessary tactics for the proletariat? It was Marx’s own conclusion that the 1848 revolutions had been defeated that led him, despite the accusations of betrayal from some of his supporters, to dissolve the Communist League and use the ensuing period of capitalist expansion to concentrate on understanding the deeper workings of capital, precisely in order to recognise when revolutionary possibilities would once again present themselves. And it was this same concern for the analysis of the balance of class forces that led him to actively participate in the formation of the new ‘party’, the IWMA, and enthusiastically greet the new upsurge of class struggle. Of course our analysis of the balance of class forces can be wrong; as Link points out, surviving revolutionaries, including the comrades of the PCInt in Italy, expected to see a revolutionary upsurge at the end of WW2. With hindsight we can see they failed to fully understand the depth of the counter-revolution imposed on the proletariat. But this only underlines the importance for Marxists of correctly analysing the situation in any given period. The CWO comrade denies that the upsurge of class struggle after May ’68 represented the end of the counter-revolution (this was of course the view of the PCInt at the time). And yet he also claims that the 1970s represented “a response to the reappearance of the capitalist crisis - the end of the post-war boom”. So did the counter-revolution end or not? And if it didn’t, what exactly is the meaning of ‘counter-revolution’ being used here? Did the period after May ’68 – compared, say, to the period 1933-1945, represent a significant shift in the balance of class forces or not? To put it simply, was there more potential for the proletariat to develop its struggles in a revolutionary direction in 1968, or in 1933, or 1945? Despite rejecting the whole notion of the ‘historic course’ the comrade then sets out … an analysis of the current balance of class forces, based on the assumption that “We are moving into a period in which further economic chaos will ensue and devaluation through destruction in war becomes more likely”. Despite its “relatively quiet response so far to the crisis”, he affirms, the proletariat remains undefeated; in fact its response is apparently inevitable: “the dialectic of history is moving on and at a certain point more and more will take up the struggle”, and he points to a development of interest in the ideas of revolutionary minorities as signs of a ‘shift’ in proletarian consciousness. 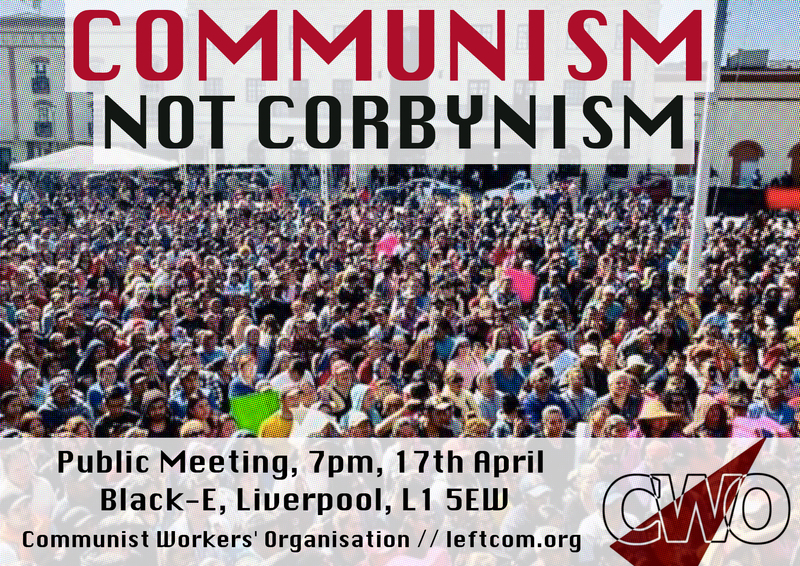 The fundamental question today is: 50 years after May ’68 and the struggles of the 70s, and faced with the survival of a system which now threatens the extinction of humanity, what is the perspective for communism? The role and tasks of revolutionaries should flow from our answer to this question. The problem with discussing with the ICC and their sympathisers is that they have such a closed minded view of the world that they cannot ever see an alternative point of view. Markyhaze ignores our point that the idea of one goal in history has never been a Marxist position but has more to do with Hegel. Right from the start Marx posed the alternative of the revolutionary reconstitution of society or the common ruin of the contending classes (later put in terms of our own epoch by Engels as "socialism or barbarism". When Marx dissolved the Communist League he did not do so on the basis of "the course of history" (an invention by the founder of the ICC Marc Chirik who managed to get it wrong every time) but because at that moment he did not see the possibility of a real class movement breaking out. He did not turn to Engels and say "Jeez Fred capitalism is still in its period of ascendance so there is no point trying to build an organisation now". Within a few years he was looking (but not always finding) the opportunity to get an organisation going and he only had to wait 14 years before the First International was founded. The ICC was founded on the basis that proletarian revolution was just around the corner, that the working class is always latently revolutionary and the only task of revolutionaries was to "demystify" it of certain ideas and the revolution would be victorious. This "course of history" led to an almost fanatical religious belief that made the ICC a caricature of the communist left. Unfortunately this tarnished not only them but also the entire communist left and made many would be revolutionaries turn away from revolutionary politics altogether (and their are many more ex-ICC members now than there are ICC members. We are not interested in the silly game as to when the counter-revolution ended. We will only know that it has ended when the working class themselves create a real international political force as it comes to the consciousness of what it has to do to end its condition and (without sounding too dramatic) save humanity from the destructive appetites of a degenerate capitalist order. What we do know is that capitalism is in an impasse and that it is continuing to make the working class pay for its failings. On the basis of that we are working to stimulate any class stirrings against the system as a whole, to bring back to the class the lessons of its own struggles and to create nuclei around the world of what might become a new international proletarian movement against capitalism. BUT we do not know the outcome. We only know that we can do nothing else whether we win or lose. What we do know is that this struggle is vital for humanity. And we note that at the end of his piece Markyhaze poses questions about where the working class is going but avoids giving any answers. That's the decomposition of theory for you! I agree with M when he says that the historic course is simply an analysis of the balance of class forces in any given period in order to identify the positions of the bourgeoisie and the working class and importantly to identify tactics for the organisations of the working class. It is or rather was quite simple and elegant explanation for how capitalism had developed up to the 70/80s. It made sense at that point in time and I don’t think it meant just one outcome as C suggest but rather reflected an analysis that suggests the most likely outcome in any given period. Trouble is this period of extended crisis and downturn in struggle since then rather complicates the issue. Is it a defeat or a downturn? It seems to me that the current period is more like the period prior to WW1 so I tend to agree with Cs analysis that both war and revolution appear possible. Further I understand that the ICC (sorry M, don’t know if you agree with this or not) now says that the historic course is on separate path to the class struggle ie there is a stalemate in the trends to war or revolution but the bourgeois is on top in the class struggle . As a way of respond to the changing conditions I don’t find this an appropriate explanation. The core of my question about the CWO’s view of periodisation is to clarify how you distinguish between the various differing periods during the last century. This is also the point made by M. I would crudely identify these periods as follows - the thirties, the war period, the reconstruction period, period of struggles in late 60s and 70s, the period since then and I note you identify the period since 2008 as distinct too. Whilst I fully accept your interpretation of todays period and its tasks, I do not understand the implication that the period since the 30s is one single period of counter-revolution (again a point made by M). The explanation of the role of a fraction clearly relates to the period of the 30s (and the war itself) but not to the period after the war. I would have thought that you would agree there are differences in the balance of class forces and in the role of militant in each of the following periods ive listed. Could the answer be simply that although the CWO draws this balance of class forces and the likely consequences, it also will not rule out completely the possibility of either war or revolution in any period? One further question of making this analysis is what is the basis for the creation of the Party. - It’s a question ive never really asked of anyone . Damen’s text suggested one side of the argument wanted to create a party as soon as the betrayal of the USSR was definitive. The ICT/CWO has not done this so must have some other understanding of the conditions for its creation. I find Cs explanation clear as to todays situation but given the criticisms being made of the ICC viewpoint ie that it puts off the creation of the party in a wait and see approach, what was the basis of the CWOs decision not to call for the formation of a Party in the period of the late 60s and early 70s? It seems to me that the CWO and the ICC make the same argument about the Party being a response to the creation of the living link to the class. This feels vague but perhaps Ive forgotten what a period of class struggle is like. Lenin and Luxembourg never had this problem either so perhaps we are just being precious about the word Party after the experience of USSR? Im not sure what C means about not discussing the end of the counter revolution? Lets ignore the term ‘Historic Course’, because I still presume you agree to the idea of analysing the balance of class forces (I asked in my previous contribution how you see that balance in the various periods since WW2) – mainly because I see you doing that in what you say and im in agreement. I am also wondering if this issue may go back to the obsolescence/decadence discussion in that I think the CWO emphasises a cyclical nature of capitalism and its crises in this period whereas the concept of decadence has led to an idea of continuous decline and has in fact had to be walked back somewhat as the idea of saturated market doesn’t seem to fit the situation anymore. I think the issue comes down to the attempt to impose neat, absolute labels on a dialectical reality marked by contradictory forces. The historic course. Unfolding reality, does exist but only is it set and unalterable in the past. Even then it is subject to different interpretation; though the facts cannot be changed, only misrepresented. As for the future, it has to be created, we have the task of changing the world. The solution for communists is to apply their efforts to winning over the working class to their perspectives and to create the means to do so. All this in the face of a capitalist class with diametrically opposing interests. The class struggle never absolutely favours one contending side or the other. Even at its lowest ebb, the forces of the working class remain to some extent. Take the UK miners strike of 84-85. Yes, a defeat. But a defeat which taught lessons, a defeat which ultimately in some measure, will contribute to the eventual victory should the historic course prove to result in proletarian success. I think there is a danger of seeing these differences through a telescope or a microscope. In the grand scheme of things, are they game changing? I would still think that all who have as their aim the sole power of the workers councils belong in a unitary organisation despite the divisions between them. This may be anathema to some, but if we are to go beyond the current miniscule organisations to something which has a decisive impact on the world, I think it to be the case. Take any two aspiring revolutionaries and there will be differences. That too is part of the dialectical perspective. The answers given by both the ICC and the CWO today don’t seem very different to me. 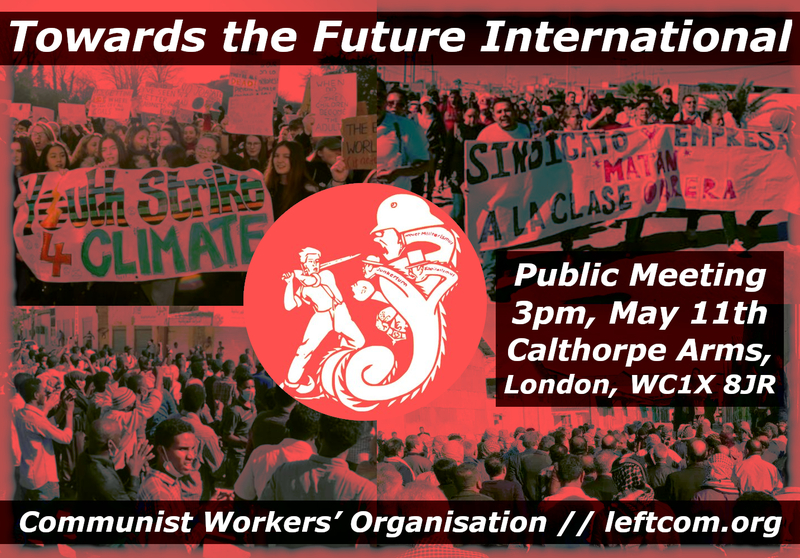 For the CWO comrade, if I can paraphrase, with the defeat of the struggles of the 1970s, the current situation is unpredictable and contradictory; capitalism now threatens the extinction of the planet but there is still the possibility of a response from the currently quiescent working class. For the ICC, “The situation looks very grave indeed ... The historic course has never been fixed in perpetuity and the possibility of massive class confrontations is not a pre-arranged staging post in the journey into the future. Nevertheless, we continue to think that the proletariat has not spoken the last word…” (Report on Class Struggle, International Review 156). So both groups re-affirm that there is still (just!) a perspective for communism. I agree with this (although it prompts the question - how will we know when the proletariat is definitively defeated?). In the light of the extremely difficult situation faced by the proletariat today, however, the real question is whether existing revolutionary organisations can provide convincing answers to the difficult questions posed by capital’s unexpected survival, in order to develop the programmatic basis for the future class party that we all believe will be necessary. This applies as much to the ICC as the CWO. According to your schema, capital can only avert its final breakdown by periodically ‘devalorising’ sufficient capital through wars. So why, if we have been in a counter-revolution since 1921 (? ), has the bourgeoisie so far been unable to mobilise the proletariat to fight this war, in the way it was able to do in the thirties? Stevein, i agree with all you say. I was particularly interested in the quote from Trotsky on A=A and looked it up. Its a good explanation but it emerges that it was written in 1939 in support of the argument that the USSR was a degenerating workers state!! Perhaps a lesson in that for all of us! Time flies and I did not realise it was more than a week since Link's last post. I think there is some wishful thinking in some of the responses but agree with Stevein that those who indulge in schematism are always likely to come unstuck. The difference between the ICT and ICC today is that the ICT maintains the same position that it always has because we always argued even in the long retreat from 1977-9 on that however bad the situation it was still the task of revolutionaries inside the class to fight for a class perspective. It was also what Damen argued in the 1930s, 1940s, 1950s and 1960s. And we have posed the formation of the party throughout that period even if it depends (and here Link is spot on) on the actual class struggle itself. We can now see that 1943-5 and 1968-74 were two "turning points" in class history where history forgot to turn! Or rather that it excited rational expectations among revolutionaries (like the more massive 1848) that social change was in the offing only for us to be disappointed. But on we go - we can do no other. And by "do" we don't mean just aim our intervention at other revolutionaries (the principal task of the fraction) but at the wider class itself to develop the praxis that any embryo of the future party needs. We have to "think to the party" at all times. Since the financial collapse of 2007-8 we have discovered that many young people have developed an interest in the politics of the communist left (remember before then we were all regarded as faintly barmy evey time we mentioned "capitalism" - today it is mainstream vocabulary) and in the last two years in particular we have had further encouragement not only from new people coming to us but also a revival (without getting too excited) in wildcat strikes in some areas and in the last few months the extraordinary strikes in Iran and elsewhere. The dialect of history never stands still and formal logic is not enough to interpret it. M mentions the fact that our analysis is that the post-war boom ended in 1971-3 at a point where the organic composition of global capital had become so high that the rate of profit acted as a barrier to further expansion. We expected a massive devaluation of capital and even world war as a consequence. He rightly asks why this has not happened and it is a question we have discussed many times (occasionally publishing our views on it). In short we have to recognise that this cycle of accumulation is different than previous ones in that the state has been in charge of managing it ina way that was not the case in 1914 or 1939. This has led to certain controlled devaluations (like the writing off of existing investment in what are now the rust belts of the world) whilst capital then transferred to low wage cost areas (but with more productive investment in new technology). The problem though has never gone away (even if they raised the rate of profit for a while) and thus as in all previous cycles they resorted more and more to speculation. This did not come about overnight - the Big Bang in the 1980s was followed by the abandonment of the Glass-Steagall act (and others like it) in the 1990s until we arrived at the huge ballooning of debts which now dominates the world economu and which the various states only just managed to prevent from bringing the whole system down. Today the bubble is getting bigger, indebtedness is growing on all fronts (except the current balance sheets of state budgets which are being cut and the working class suffering as a consequence) so the question of what happens next is posed. Capitalism has already shown an enormous capacity for hanging on but at this point we cannot see them a) pulling off another economic stunt to get out of this one or b) an increasingly impoverished class putting up with this for ever. At some point the worm will turn as it as repeatedly throughout capitalist history. The problem for the ICC is that they defined the course of history initially as towards just "revolution" back in 1975 (this was modified, in the face of Battaglia Comunista's crticisms, in the International Conferences to "decisive class confrontations") and today they have now decided that this was wrong which has induced them to a defeatist mentality and the revival of the notion of a "fraction". They have several times told us that this is not the time to be working for the party and have shown little interest in anything else beyond a repeat of old texts and propagandist work aimed at the "milieu". The answer of the CWO comrade, if I can summarise, is that it is due to the role of the state in managing the crisis. I don’t think we disagree on the role of state capitalism in enabling the phenomenon of the ‘post-war boom’ and in managing the ensuing economic crisis. In fact the comrade makes a very important point. As he says, “Capitalism has already shown an enormous capacity for hanging on”. I think it’s fair to say none of us believed it could hang on for quite so long and one hard lesson for revolutionaries over the last 40 years or so has been not to underestimate capitalism’s ability to survive. But this still doesn’t quite answer my question. The fact is, state capitalism was the response of the bourgeoisie to the crisis of the ‘30s par excellence: Nazi Germany, Stalinist Russia, the New Deal, the De Man plan, etc. And the solution of state capitalism to this crisis was … to mobilise the working class for a world war. So why, if the crisis is so much deeper today, and the need to devalorise capital even greater, doesn’t state capitalism adopt the same solution? I can only assume from the comrade’s response that he believes “the reason the bourgeoisie so far been unable to mobilise the proletariat to fight this war” has nothing fundamentally to do with the balance of forces between the classes. But then why also argue that the counter-revolution after 1917-21 did not end? What is a "counter-revolution" if not a description of the balance of class forces? It seems to me if you stick with your position that the counter-revolution did not end you have to explain why there appear to be such crucial differences in the response of state capitalism to the crisis between the ‘thirties and the ‘seventies. Or you need to abandon this position (which I don't think you've always defended - there's no mention of it in the first two international conferences for example) and explain these differences purely in terms of the policies adopted by capital to manage the crisis. To summarise very briefly, the bourgeoisie was able to mobilise the proletariat for war in the 1930s because it had already been decisively defeated. Despite massive combativity (eg Spain 1936) it was no longer possible for the proletariat to block the road towards war. But with the end of the post-war boom and the return of the crisis the balance of class forces shifted. There was a new generation of proletarians who had not experienced defeat and the upsurge of workers’ struggles in the late 60s and early 70s showed that this generation was not prepared to be mobilised to fight a new world war. In fact, with hindsight, we can see that this upsurge was the best shot the proletariat has had at overthrowing capitalism since 1917. The fact that it failed proves not that we are still in the counter-revolution but that the balance of class forces has changed. Capitalism has not been able to mobilise the proletariat for war, as it needs to, but neither has the proletariat been able to pose its own historic alternative. In the absence of either ‘solution’ capitalism becomes a slow-motion train wreck, inexorably destroying the conditions for communism and possibly even for life on the planet. If the proletariat is not able to finally intervene, the outcome will indeed be the ‘common ruin of the contending classes’ referred to by Marx and the comrade. Of course we can disagree on our analyses of the relationship of class forces, but to ignore the whole question of the relationship between the classes at a given point in history is surely not a credible position for Marxists? Or do you see this purely as proof of ‘idealism’? Hi all. Just to say i havent left the discussion - I'm absorbing. It may not have occurred to you but I regarded your manner of posing the question as undialectical. We have pointed out many times to the ICC that it is actually the passivity of the class over the last 4 decades which gives the capitalist class the space to avoid war. Unlike the ICC the bourgeoisie can learn from history and they know the consequences of a wider gloabl war rather than the accumulation of proxy wars we see today. IF the bourgeoisie in each country could see a way to devalue the capital of the "other" rival power without any great social consequences for themselves they would do it. BUT given the consequences of previous wars they know it is a desperate step. If the working class was hammering at the door the luxury of making that decision would be taken out of their hands (as with GB and Russia in 1914 - the great unrest in both countries was critical to their decision to go to war - see the memoirs of Lloyd George). As it is the fact that the devalorisation of capital has taken place only piecemeal (like the write off of so much of the existing investment in constant capital in the 1980s in order to reinvest in the Far East etc with new technology and low labour costs) despite all the manipulations the fundamentals remain the same. The over-accumulation of capital has not been addressed and the bursting of the speculative bubble (which appears to us as the last gasp of all the manipulations) means that they have little room left today. Another bubble bursting when the state has already loaded itself with the debt from the last bubble is hardly likely to have the same results. And that then would pose some difficult questions for both this system and humanity. Why do you think we have ignored the question of the relationship between the classes (we have just ignored daft ways of posing it)? We have constantly commented on this, constantly analysed the changing class composition over the decades and we are still fighting to redress the balance which we have seen as one of retreat for 40 years. What have the ICC done in that time. Accused us of having no faith in the working class. Accused us of not having a method and a perspective ("rudderless" was the favourite jibe) for the class struggle. And all the time they were telling us that the "historic course" was towards revolution (or later modified to "greater class confrontations"). And where is the ICC today? A demoralised and defeated remnant of a once larger organisation built on the illusion that revolution was just around the corner. Today it consoles itself with talk of chaos and decomposition (which is true but is a result of the deepening capitalist crisis and not some paralysis in the class war as the ICC maintain). When the ICC maintains that today they are just a "fraction" (and then openly lies by saying it has always only been a fraction!) what they are sayinn is that there is nothing to be done but write silly polemics to other organisations (but then that has been ICC methodology since 1975). The desperation and feebleness of your polemic is only underlined by your reference to the Eighteenth Brumaire (which was long before Marx's more profound analysis of capitalism). I found this interesting, but nothing new. In the absence of either ‘solution’ capitalism becomes a slow-motion train wreck, inexorably destroying the conditions for communism and possibly even for life on the planet. If the proletariat is not able to finally intervene, the outcome will indeed be the ‘common ruin of the contending classes’ referred to by Marx and the comrade. It does not seem to me that capitalism is destroying the conditions for communism. It is still innovative, this internet communication is amazing, it is still increasing production, processing more materials etc. I can see how this is negative from an environmental perspective, but from the perspective of the possibility of communism? The system seems to be expanding, uprooting the relics of national and local peculiarity, more and more of us live in the urban setting etc. All of this would seem to favour the communist perspective. Climate change and nuclear weapons (maybe a few other horror weapons too) make the possibility of destuction a real threat, but aside from these, I dont really see the capitalist process as undermining potential communism, rather it is simply becoming ever more difficult to maintain the ideological blinkers and conduct the great surplus value swindle. I’m not a member of the ICC, I don’t speak for them and I’m not answerable for everything they ever said. If I’ve ignored your rants against the ICC on this thread (which must bewilder any casual reader) it is because I think they are a sectarian waste of time and a diversion from the real issues. I know you are not a member of the ICC but like so many non-members of the ICC you are less than honest about what you are saying. The first paragraph I wrote was a response to your question. The second to the implications behind such sentences as "Capitalism has not been able to mobilise the proletariat for war, as it needs to, but neither has the proletariat been able to pose its own historic alternative." This is taken straight from the ICC handbook of justification for the the collapse of the perspective that "the course of history" was towards revolution. You keep on arguing that we do not take into account the balance of class forces but the answer to that is in the article. For us though the balance of class forces can alter abruptly (currently as the article says we are destined for war but that does not mean that the continual contradictions of the system will not throw up a new movement. Since 2008 we have seen the growth of communist ideas amongst younger people (not just "nutters" like us who banged on about capitalism). With no solution to the crisis in sight (and state capitalism it seems to us has exhausted all the tricks you can use in a cycle of accumulation - Capital Volume 3 is very good on this, including fictituous capital) there is every possibility that this can spread to a wider class movement but that means we have to play our part. We are about to publish another article on this in response to yet other ex-ICCers and hopefully that will finally make it clear where we stand. This is brand new to me – sorry, I really had not understood this from previous articles – and I suspect from what M has written that he did not recognise this either. The ICC framework for the historic course is basically that depending on the balance of class forces the tendency in society is towards war or revolution. The rather fancy term historic course is no more than a assessment that one or other goal is on the cards in any given period. A nice simple analysis but it is predicated on the idea that if the balance of class forces is towards the Bourgeoisie then they must be moving towards war as its solution of the crisis. It looks to me like that is Ms view too. It is a theory that does no does not allow for the idea that the B has the option not to move towards a war if it so chooses! I hadn’t recognised this before and it does seem to me now to be an explanation for the current period where the B is clearly on top in the class struggle, yet world war does not appear on the cards either. As was pointed out to me recently in fact in decadence and particularly in this period since WW2, war has been present at all time albeit constrained in regions of the world so maybe this also mitigates the need for world war. The CWO clearly sees war or revolution, socialism or barbarism as the ultimate options available just like the ICC but the latter does not recognise stages, changes or circuitous routes on the way! Look forward to both Ms and Cs responses to my suggestions re the ICC and the CWOs analyses. One problem here is that there is no neutral ground. We may recognise that the outcomes are binary and we may accept that at a given moment in time the process favours the opposition, but we do not have the luxury of accepting any outcome other than victory. When the alternative is life or death, we can only select life. This is where I think we are going beyond science, we are engaging in struggle. We cannot say, yes, we are communists, but we are likely going to lose, more than likely it is a lost cause, all the factors are stacked against us, we have no chance really. Let's write some really long articles about how we can see the exact process leading to the end of humanity, they can be beautiful academic works, worthy of accolade, something that would be admired by future generations if only there were any coming. So we have to apply what I think goes beyond scientific objectivism, "de l'audace, encore de l'audace, et toujours de l'audace" French quotation from *George-Jacques Danto*n.
I do not need to know any more when the alternative is totally unacceptable. We seem to agree that the 1970s saw the end of the post-war boom and a working class response to the reappearance of the capitalist crisis. For the ICC, this signified that the “course of history” was towards revolution. Later it was forced to recognise this was wrong and changed it to “a course towards class confrontations”. For the CWO, the comrade first described the main reason as the ability of the bourgeoisie to manage the crisis. I can agree with this. Partly based on the lessons it has learned from history, the bourgeoisie has been able to effectively phase in the crisis and, just as importantly, to derail, divert and mystify any dangerous working class response. This is also broadly the view of the ICC (from its 21st Congress reports). In support of this position Cleish points to 1914 as evidence that if it was faced with massive class struggle the bourgeoisie would be forced to try to go to war, and I think there is truth in that historical example; the outbreak of WW1 cut short the whole internationaL wave of mass struggles described by Rosa Luxemburg in the Mass Strike. On the other hand, I could then point to 1939 as evidence that in the absence of massive resistance from the working class the bourgeoisie was free to impose its own solution. We could also argue that in 1914 the change in historic period from ascendance to decadence wasn’t yet clear to either class. Decadence obviously has its own history and in that sense this current period is historically completely unprecedented. So at the very least it is difficult to generalise from historical specificities. I think we’d all agree the bourgeoisie can learn from history but this raises a whole new question about the ‘rationality’ of the bourgeoisie. In a period in which we see more and more evidence of the irrationality of the bourgeoisie – above all in the worsening ecological crisis that capitalism is precipitating, apparently without any serious effort or even ability to prevent its worst effects - I think it is debatable to say the least to talk about bourgeois rationality as a factor, especially in the current period - but that's another discussion. I was not joking. We have had ICC sympathisers posting on our site without declaring where they were coming from but just making negative remarks about our positions. This is very useful as a technique since it always puts the other (in this case, us) on the defensive. You are far from the worst but you cannot deny that you earlier posed ICC perspectives without saying that they were theirs. I don’t think we have ever said that. It ends when a new revolutionary wave comes along and we hope that an international (and not just any old class party in one capitalist state) is already in existence as part of the process of the build-up to the revolutionary wave. That is why we are working so hard for it now and not theorising that “this is not the time for the class party” as Alf said in one of our meetings (and I hope I have not misrepresented him!). On the question of whether the working class passivity is actually giving the bourgeoisie a free hand over the war issue I was maintaining that either case could be valid and that I agree that “So at the very least it is difficult to generalise from historical specificities”. But who has done the generalising here? The same people who assert that the working class is holding back war (as if the one premise always promoted the other when in fact the converse can be the case). The further historical factor is that in the past mass armies were required to fight wars so the question of mobilising the working class was critical whereas today in the era of hi-tech war and professional murderers the question is more in the hands of the ruling class (although in the event of a longer war the question of mobilisation of support will still be significant). As to your final point about the irrationality of the bourgeoisie this is different from the irrationality or distorted rationality of capitalism. What we would say is the current evidence shows that as the crisis has gone on they have exhausted all the avenues left open to them. Now we are in cloud cuckoo land with Brexit/Trump’s America and the divisions in the bourgeoisie but there is also the dangerous “rationality” of the nationalist demagogues like Salvini (I am typing this in a house on the Aventine Hill in Rome), Orbans, Kuzcynski, Duterte etc etc spreading across a capitalist system in stagnation. Link I think has now understood the differences between us and the ICC and, in his usual generous way, is trying to get all communists to bury their differences and work together. However the ICC have now admitted that their previous perspectives were wrong (but not the method behind that error). Today we have had 40 years of class retreat but in political terms there are signs of a resurgence of interest in genuine revolutionary politics. We do not know what the future will bring precisely but as Stevein said the alternative to proletarian revolution is too awful to contemplate so whatever happens we revolutionaries have to do all we can to help to build a class alternative to what capitalism has in store for us. This was Onorato Damen’s position in the 1950s and 1960s and it is ours today.